From meeting family members, shopping for colourful lantern & new clothes, enjoying homemade sweets, to shopping online, exchanging greetings on mobile, share update on social media, get gifts delivered on our doorsteps – Diwali celebrations have changed over the years, losing some of its familial togetherness to the easy lure of the digital world. Identifying the need for people to connect and have real conversations, Vodafone is again encouraging them to #LookUp and celebrate Diwali with their families, by keeping down their devices. 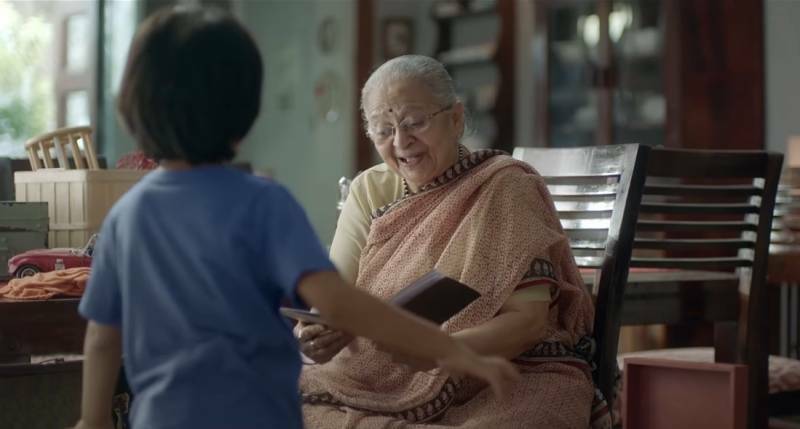 Vodafone has launched a heart-warming video under its successful #LookUp campaign, urging viewers to celebrate Diwali with each other rather than with devices – Kyunki apno se acha koi network nahi, apnepan se acha koi connection nahi. Conceptualised by Ogilvy India, the film beautifully brings out the changing nature of Diwali celebrations seen through the eyes of a kid. It shows the contrast between how Diwali was celebrated traditionally by the child’s father with lots of love & warmth and how it is perhaps celebrated at present. With its stark difference, the film shows how technology sometimes takes over and people lose out on the connections that really matter.